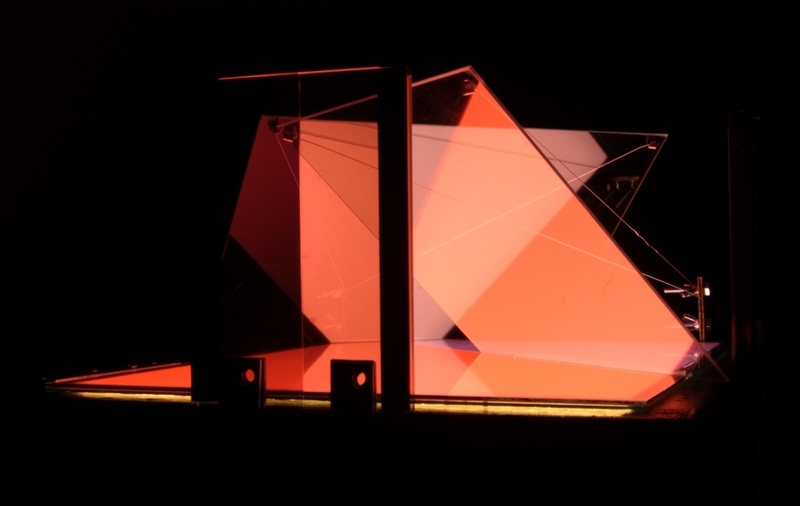 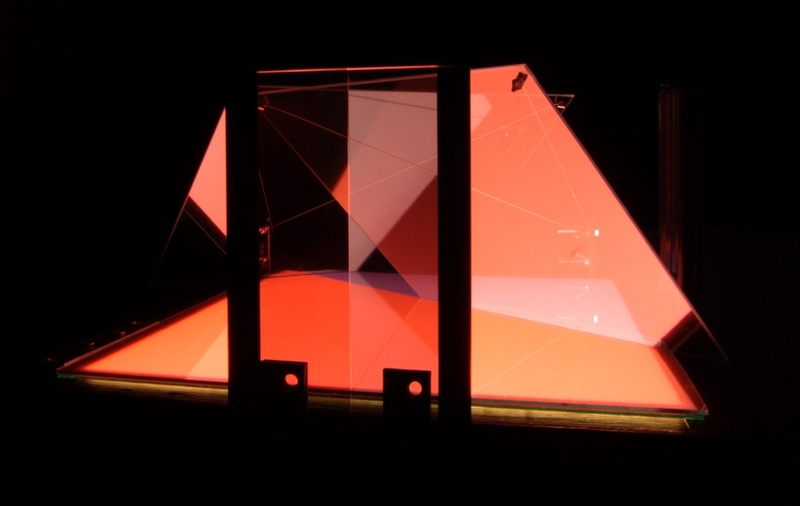 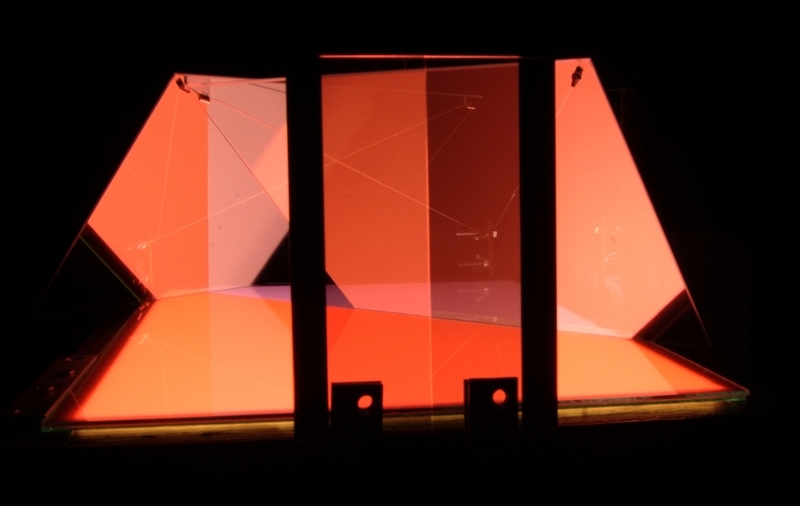 Continuing from a second year project looking at specular light, this structure links its polarisation to colour. 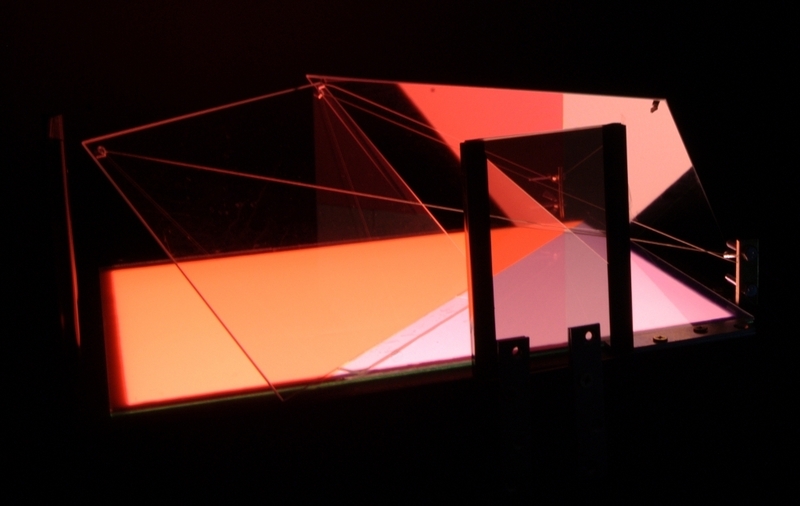 Light reflected from a smooth dielectric material such as glass has a uniform polarisation, which is let through in varying amounts by polarising filters with different orientations. 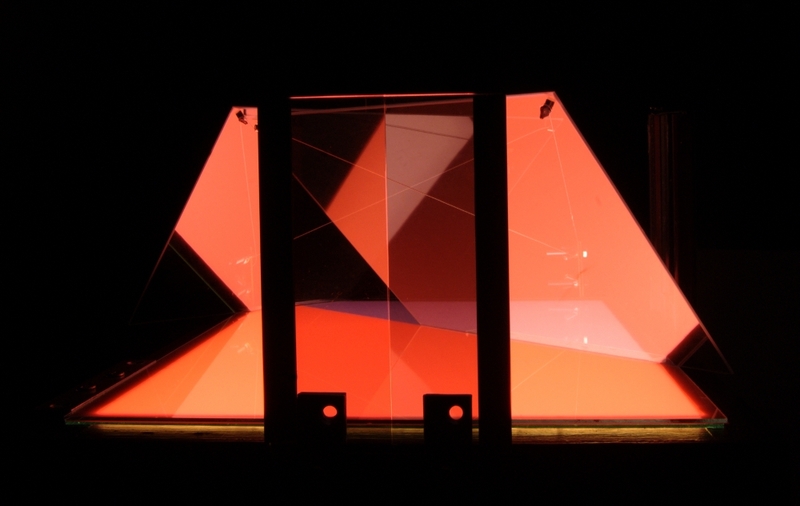 The arrangement of shapes that someone sees changes as they move around the structure and light is reflected and filtered in different combinations.